Axel Brauer of Berlin and a delegation from the German embassy pose for a group photo at the Chitralada Technology College. 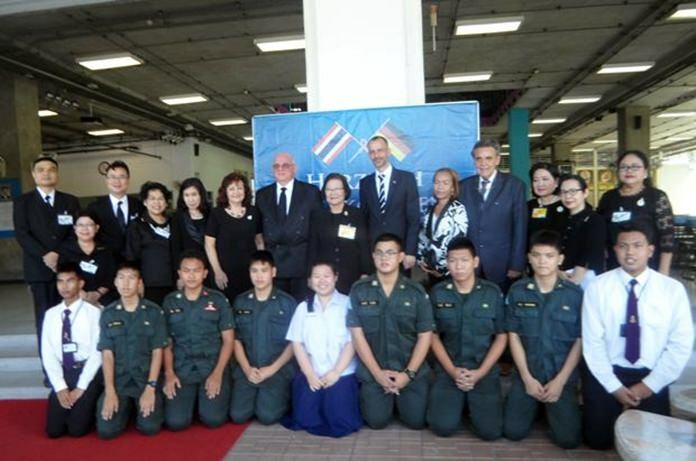 A frequent German visitor to Pattaya was so impressed by the royal Chitralada Technology College he decided to sponsor it for 5 million baht over the next five years. Axel Brauer of Berlin and a delegation from the German embassy visited the school at the Dusit Palace Sept. 1 where they were welcomed by college regent Khunying Sumonta Promboon and top deputies and professors. The entourage is given a tour through the Technology College. After a presentation of some snacks and gifts, a group of professors took the foreigners on a tour and showed video presentation. Brauer, who initially told the embassy he wanted to donate a million baht to the school, upped his sponsorship right then to 5 million baht. The generous sponsor and his companions were later granted an audience with HRH Princess Maha Chakri Sirindhorn Sept. 5 to make the donation. The roots of Chitralada Technology College date back to 1955 when HM the late King created a kindergarten at the Udon Throne Hall in the Amphorn Sathan Residential Hall of the Dusit Palace. Later, HM King Bhumibol had a permanent school building constructed in the area of Chitralada Royal Villa and named it Chitralada School. It was expanded and provided education in all levels from kindergarten to secondary. In 2004, vocational and higher vocational certificate programs were added to Chitralada’s curriculum. Years later, HRH Princess Sirindhorn decided to extend the vocational programs to the bachelor degree level and Chitralada Technology College was born, offering degrees in business administration and industrial technology. 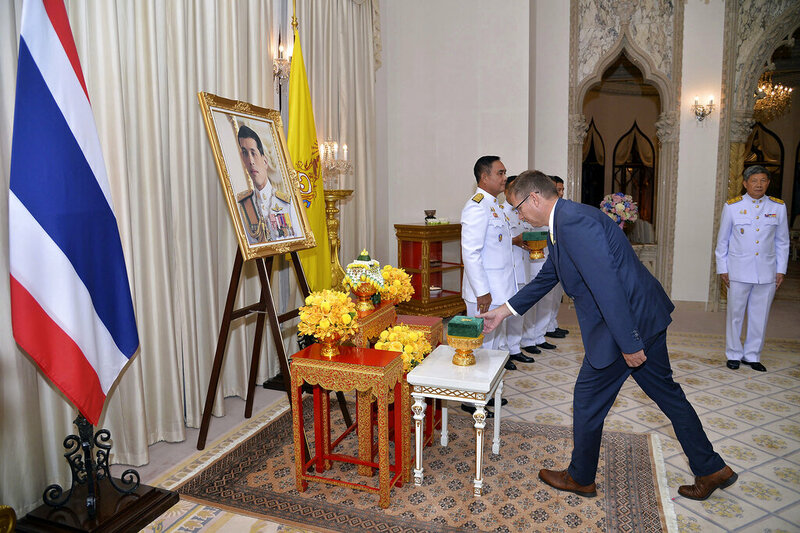 Mr. Brauer was introduced to the college by German MP Juergen Koppelin, a friend and frequent visitor to Thailand and has had frequent contacts with the princess told the Berlin businessman about its history and mission during a visit to Pattaya. Once Mr. Brauer decided to make his contribution to the royal family school, the German embassy was contacted to make the arrangements for the formal visit and presentation.